In the Manage Pick Lists screen, pick a list with the dropdown menu top right. 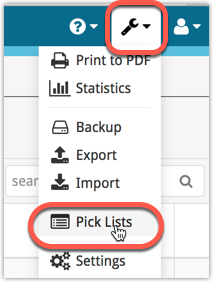 Then, search or select one of the pick list items to open up its edit popup where you can change the name (and if available, sort name too) of the pick list item. The merging of pick list items will affect all entries in your database that use any one of those pick list items that you’re merging. To remove a pick list item, click the red X button on the right. This will remove the pick list item from all entries in your database that are using it. It won’t actually remove entries in your database, just edit them to not have that pick list item in them anymore. The Manage Pick List screen is a powerful tool. 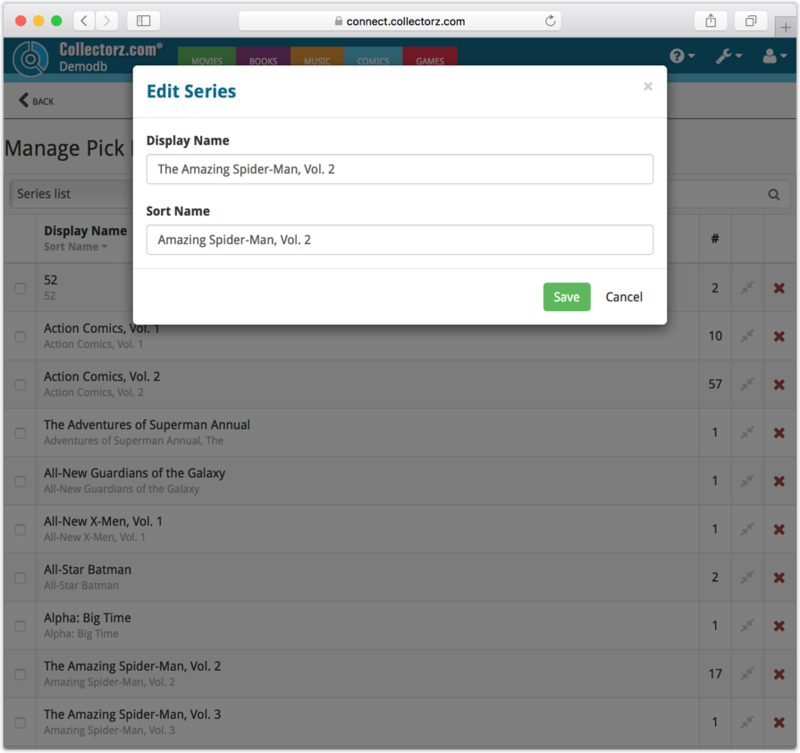 Editing, merging or deleting pick list items will affect multiple entries in your database. Be careful with it!